Shop Smart offer: Over £20 purchase with Shop Smart card, for 10% discount. 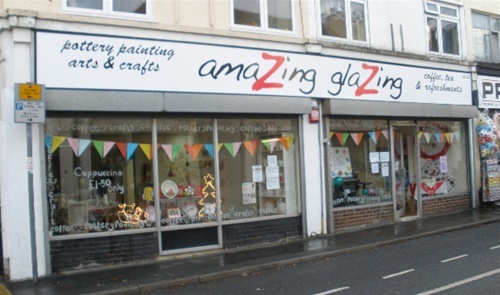 Amazing Glazing is a brand new shop in Westway, providing Pottery Painting and Arts and Crafts Studio. Children's parties please enquire as well as ladies nights and other events. Normal Opening Hours: Tuesday to Sunday, term times and also Mondays during half terms and school holidays.